Reliable climate data is crucial for informing decision making on matters relating to climate change adaptation. However, the task of creating effective climate data management systems has often been a challenge for developing countries. 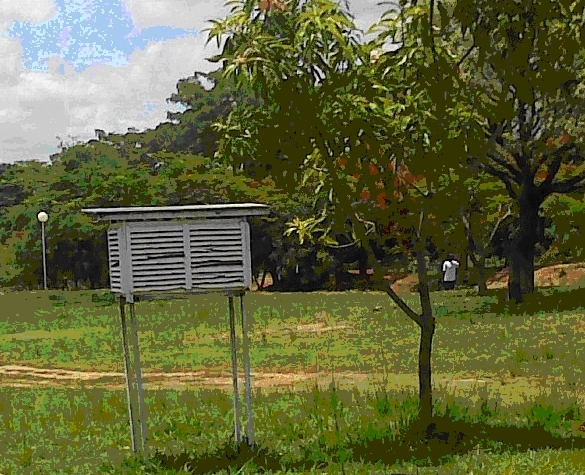 This study analysed the capacity of 20 weather observation stations in providing reliable and adequate climate data for effective climate change adaptation in the Lake Chilwa Basin, Malawi. Prevailing climate data capture and management practices were analysed for consistency with standards set by the Department of Climate Change and Meteorological Services. The study shows that 14 out of the 20 stations surveyed were operational. However, out of these, only 7 had standard equipment and none had qualified personnel resulting in poor data capture and management practices associated with inadequate and poor quality data. Deterioration of the climate data management infrastructure in the Basin was attributed to vandalism rampant in late 1990’s and declining institutional support towards climate data management. We recommend revamping of the climate data management system in the Basin through installation and use of standard equipment in existing weather observation stations; installation of additional observatories to improve coverage; training of staff, institutions and stakeholders in effective management of climate data systems; development of partnerships among government and nongovernment organisations, the private sector and communities for sharing of costs and benefits associated with climate data management and utilisation; and development of a framework for climate information dissemination and sharing, which would also act as a backup for climate data at district and national levels. For more details on the Lake Chilwa Basin Climate Change Adaptation Programme please see HERE. LEAD - Inspiring leadership for a sustainable world.